The World Rescue Organisation (WRO) is a UK based not for profit organization established in 1999, with a specific mandate to assist with the dissemination of emergency rescue and medical techniques, practices and procedures to aid the effective management of Road Traffic Collisions and the care of those involved. The WRO has mobilized to better increase responsiveness to emergencies and improve the ability of healthcare systems to provide appropriate emergency and post-collision treatment in a number of countries. 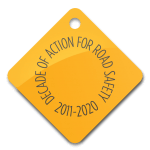 Through their expertise in post-crash rescue and trauma care, the World Rescue Organisation plays a vital role in reducing the global burden of road trauma, particularly in low- and middle-income countries. WRO has worked with rescue and trauma care professionals from around the world and organises the yearly World Rescue Challenge to enhance standards and build capability. The WRC sees world class rescue and trauma teams compete annually in an event designed to challenge emergency service personnel by developing and enhancing their existing skills and to help raise awareness of the global problem of road death and injury. Over fifty international teams participate in the challenge each year, which covers two challenge disciplines, Extrication and Trauma.